The growing oil and gas industry in North Central West Virginia continues to pay dividends on the economic development front. Proof of that came in the last few days as a new $1.4 million building with ties to the industry opened its doors in the City of Bridgeport. 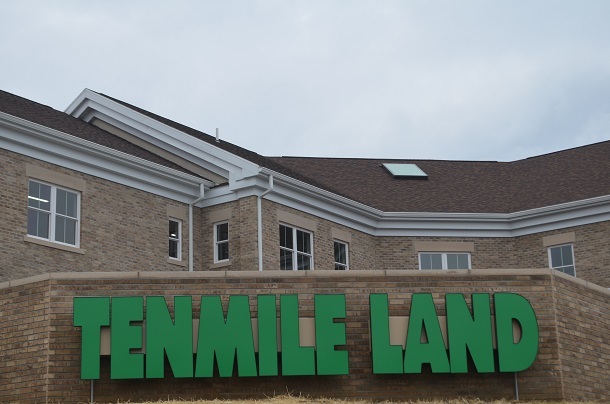 According to CEO Chad Johnson, the new location of Tenmile Land, LLC is now officially open. The new offices are situated at the White Oaks development at the intersection right across from Steptoe & Johnson on White Oaks Boulevard. The beginning touches on the new location began almost a year ago to the day. On Feb. 8 in 2018, Tenmile acquired a $1.8 million building permit from the city (at a cost of $13,200) to begin construction the two-story business. Shortly thereafter, the decades-old company operating throughout North Central West Virginia broke ground on what is now its new location. Prior to opening at White Oaks, Tenmile was still in Bridgeport. For several years, the company operated along Platinum Drive near the former Division of Motor Vehicles building. Ten Mile is a mineral (oil and gas) and land acquisition company, Johnson said. The CEO said they primarily buy oil and gas already in place as well as surface properties and manage those areas with the goal of optimizing all of their assets. As for the new building, Johnson is pleased with it. More importantly, another group is as well. The building also meets the business needs. And will be able to handle anticipated growth. Everyone right now consists of 20 employees. In the immediate future, Johnson said there will be three new hires and more will be on the way. Eventually, Johnson said he believes 50 people will be able to “comfortably” work in the building. “I guess that could hit 60, but I feel better with 50 being our capacity,” said Johnson. Johnson said there will be a grand opening event in the future. He wasn’t sure of the time that would take place. 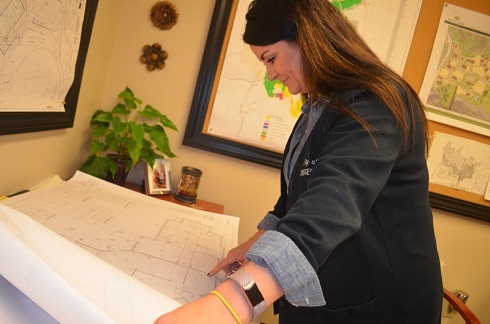 Editor's Note: Top photo shows the finished Tenmile building that was created from the plans Bridgeport Community Development Director Andrea Kerr is looking at in the second photo.